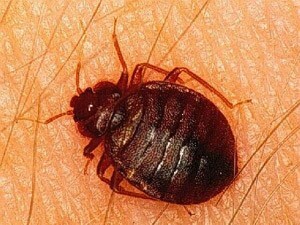 Bed bugs can be a troublesome pest to eradicate and treatments can be expensive. With Aberdeen being the energy capital of Scotland it welcomes many travellers who can inadvertently be transporting bed bugs from other parts of the world or other parts of Scotland. Bed bugs can cause severe allergic reactions in some people with their bite where other people have little or no knowledge that they've even been a bed bugs supper. Itchy Red marks or spots on your shoulders or back. Two or three treatments with an insecticidal space or surface spray will be required so we recommend that you call us if you think you have a problem. Heavy infestations may require disposing of bedding but if you suspect a room is affected do not remove anything from the room without bagging it first. or 0800 14 65 44. Sleep tight at night and don’t let the Bed Bugs Bite especially if you live in the Aberdeen or surrounding area. Graham Pest Control has over 20 years experience dealing with Pest Problems in Aberdeen and around Scotland.